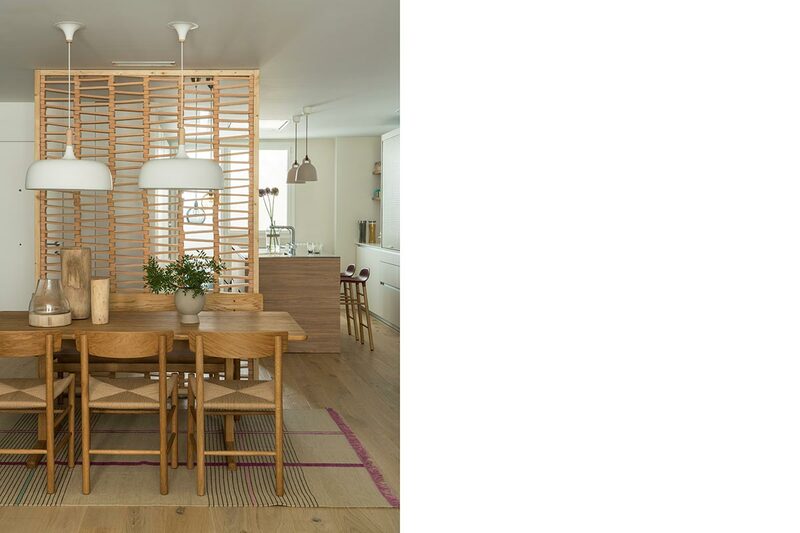 There are many reasons to add a slatted wood wall to your home. 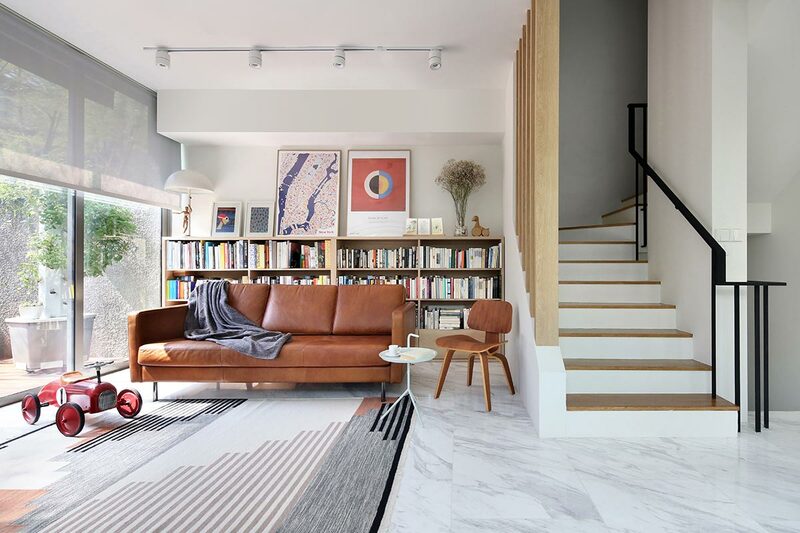 Not only are they an interesting and contemporary way to define spaces within a home, they are also a great way to add character and charm to your home without sacrificing light or views. Read on to see how you can use one of these unique structures in your own home. Although plenty of homeowners these days prefer an open floor plan, it is not ideal – for privacy reasons – to have the whole home visible from the front door. As such, a slatted screen can help create privacy and a sense of surprise. With the new partition, your guests can get a sneak peek at the rooms beyond the entryway, but the barrier will also cause visitors to think twice about passing these thresholds into your personal space without first getting your permission. If you have an uncharacteristically large living room, or you live in a studio apartment, slat walls are perfect for helping you separate spaces and defining select areas. In this home, a floor-to-ceiling wooden screen separates the dining space from the kitchen, although it still allows people on either side of the screen to communicate with one another. Additionally, the screen also doubles up as an interesting textural element within the space, giving the home a beachy, Zen-bohemian vibe. For homeowners with a stairwell in their home, using a wooden slat wall instead of a traditional banister is a great way to camouflage your stairs. As seen in this photo, using thin slats with a wider spacing to hide the staircase from the living room creates a visually interesting focal point within the communal zone while also encouraging natural light and ventilation to flow through both spaces at the same time. 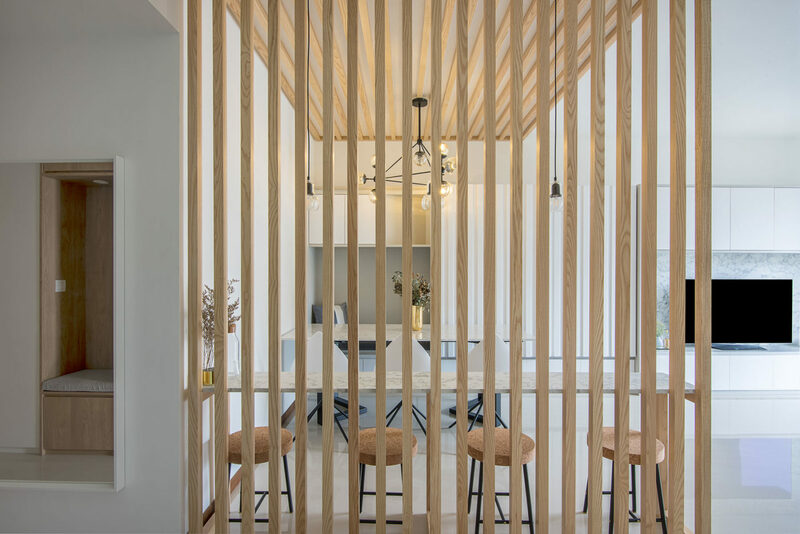 If you have a bedroom or a bathroom right off your communal spaces, a slatted screen can serve as a useful visual barrier to block your guests’ views of the more personal spaces in your home. For example, this home has a study area at the end of the long corridor. 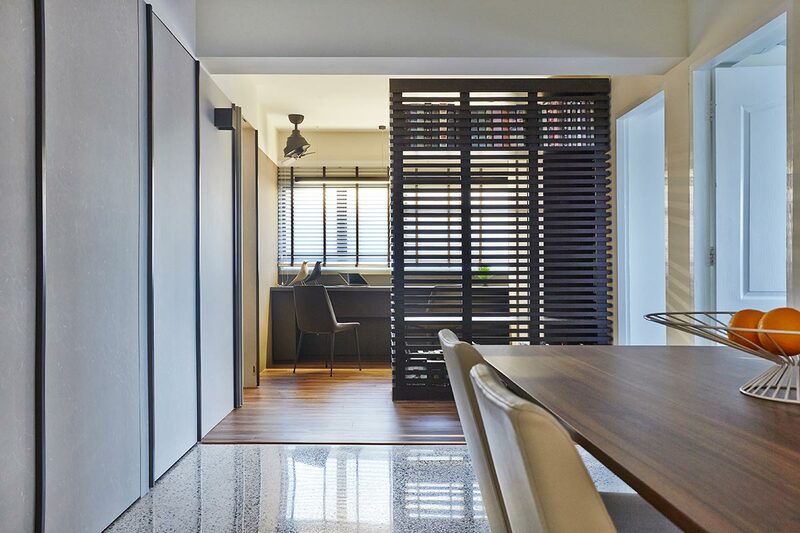 But by separating the two spaces with a horizontal slat wall, there is now privacy in the study area without having to fully close off the space from the main living areas. 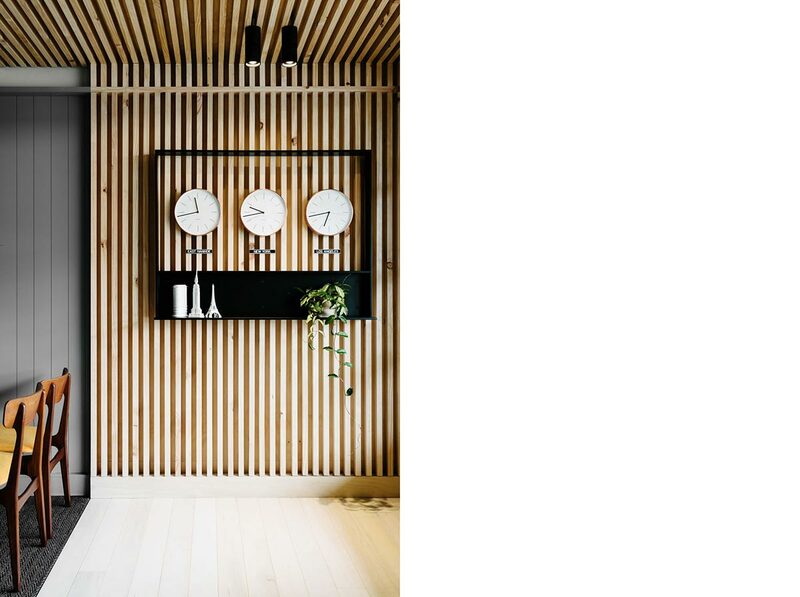 Besides offering a practical way to separate different rooms in a home, slatted wooden walls can also be an artistic way to make a decorative statement. Some options include designing a unique feature wall, carving out a kitchen rack for hanging pots from, or even personalising a one-of-a-kind bedroom headboard design out of the individual pieces.